HIIT (high-intensity interval training) is one of the most time efficient ways to exercise. It’s also incredibly effective at improving cardiovascular health, speeding up metabolism, and burning fat. If you’re not familiar with HIIT, that’s OK. 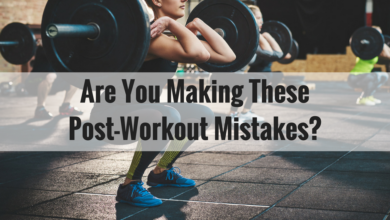 In this post, I’m going to explain what HIIT is, how it works, why it’s good for you, and share some sample workouts that you can try (if you dare). HIIT is an umbrella term for workouts that alternate between short bursts of high-intensity exercise (10 to 60 second) and low to moderate intensity recovery periods (10 to 60+ seconds). The ratios between max effort and recovery can vary. The more common ones are 1:1 (30 seconds on, 30 seconds off), 1:2 (30 seconds on 1 minute off), 2:1 (30 seconds on, 15 seconds off), and Tabata style (20 seconds on, 10 seconds off). It seems pretty simple, but there is a caveat. In order for a high-intensity interval training workout to be effective, it has to truly be intense: so intense that you shouldn’t be able to talk to someone while you’re doing it. During these bouts of extreme work, the goal is to reach 80-90% of your max heart rate. That number drops to about 40-50% during the recovery period. Because HIIT workouts can be so physically challenging, they tend to be much shorter in duration than traditional “cardio”. A typical workout lasts between 10 and 30 minutes, though it’s possible to get a full workout in just 1 minute. HIIT is a great workout because it’s both aerobic and anaerobic. High-intensity exercise (like sprinting, running up stairs, or jumping rope) is anaerobic exercise. That’s because your body can’t get enough oxygen to break down carbohydrates and fat for energy. However, low-intensity exercise (like walking, sit-ups, or lunges), is aerobic exercise. In this case, your body has the oxygen it needs to efficiently convert carbs and fat into fuel. This interplay between high and low intensity (anaerobic and aerobic exercise) is what ultimately makes high-intensity interval training so effective at burning both calories and fat. The health benefits surrounding HIIT are nothing short of impressive. According to a meta-analysis of 28 controlled trials, HIIT is more effective than endurance training at increasing VO2max (the maximum amount of oxygen your body consumes during exercise). 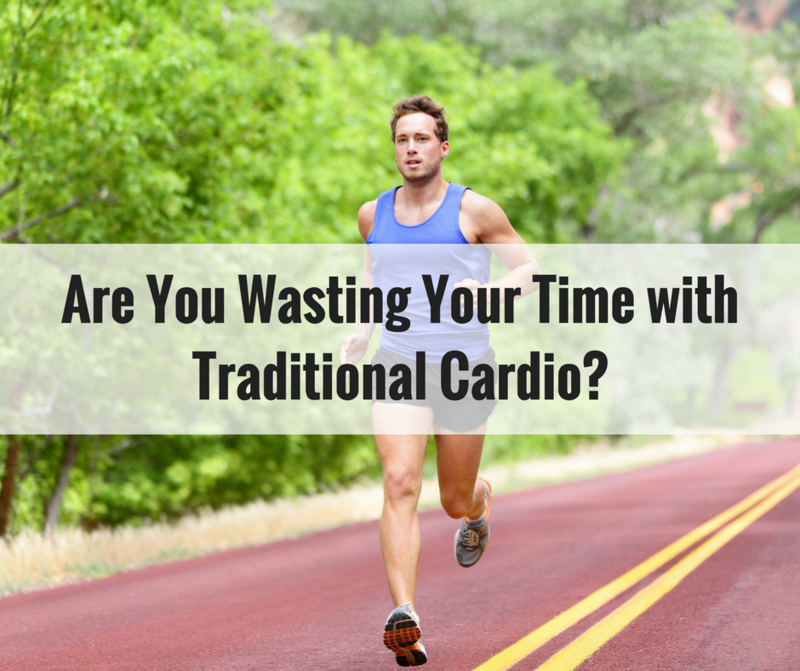 This is important because a higher VO2max translates to better cardiovascular health. 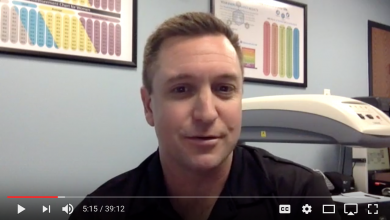 Another comprehensive review of 65 interventional studies found that HIIT improves several risk factors for heart disease, including blood pressure, waist circumference, body fat, heart rate and blood pressure. Additionally, HIIT increases excess post-exercise oxygen consumption (EPOC). EPOC refers to the amount of oxygen your cells consume in order to restore your body to its pre-exercise state. High-intensity interval training requires a high level of exertion. As a result, your cells needs a larger amount of oxygen to get your heart rate, blood pressure, and body temperature back down. This translates to a higher caloric burn. 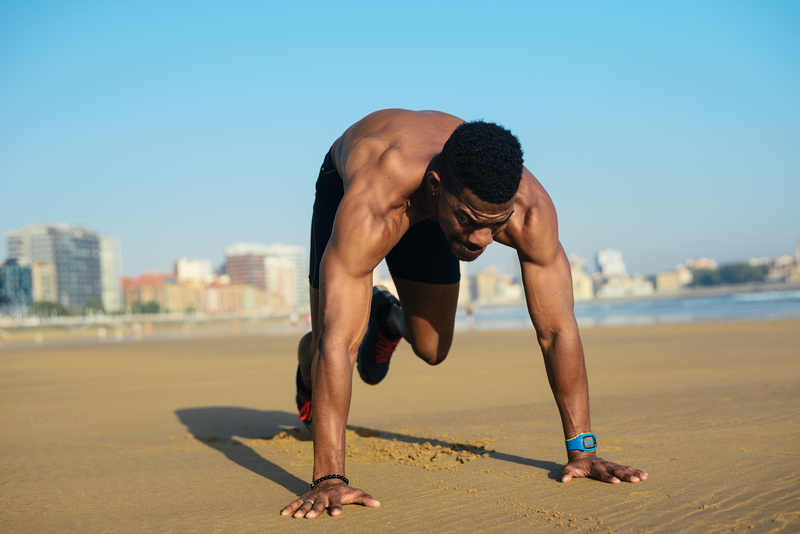 Since your EPOC remains elevated for several hours after HIIT, you continue burning calories even AFTER you’re done exercising (it’s called the afterburn effect). Studies also show that HIIT increases human growth hormone (HGH), significantly reduces body fat and visceral fat (fat around your mid-section) and burns more calories than continuous forms of exercise (like running for a straight 30 minutes). 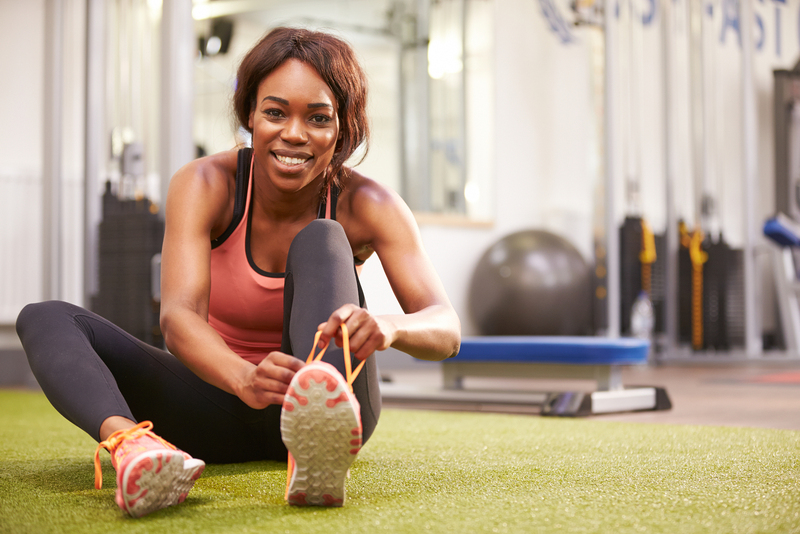 A 50-study meta-analysis found that high-intensity interval training reduces blood glucose and insulin resistance, making HIIT particularly beneficial for those at risk of, or struggling with type 2 diabetes. One thing in particular that I like about HIIT is that it’s very individualized. You can choose the equipment you want to use (or no equipment at all), the length of the high intensity and recovery intervals (like 30 seconds on, 30 seconds off, or 20 seconds on 10 seconds off), and how long you want the workout to last (how many rounds you want to complete). If you’re new to HIIT you might choose to do a high-intensity interval of 10 or 20 seconds followed by a recovery period of as much as a minute or more, and repeat for 3 or 4 rounds. If you’re in really great shape you might push yourself to the max for 30 seconds or even a minute followed by a recovery of 10 or 20 seconds, and repeat for as many as 8 rounds. You can choose to use equipment like a rowing machine, treadmill, bike, elliptical, dumbbells, medicine balls, or kettlebells (just to name a few). 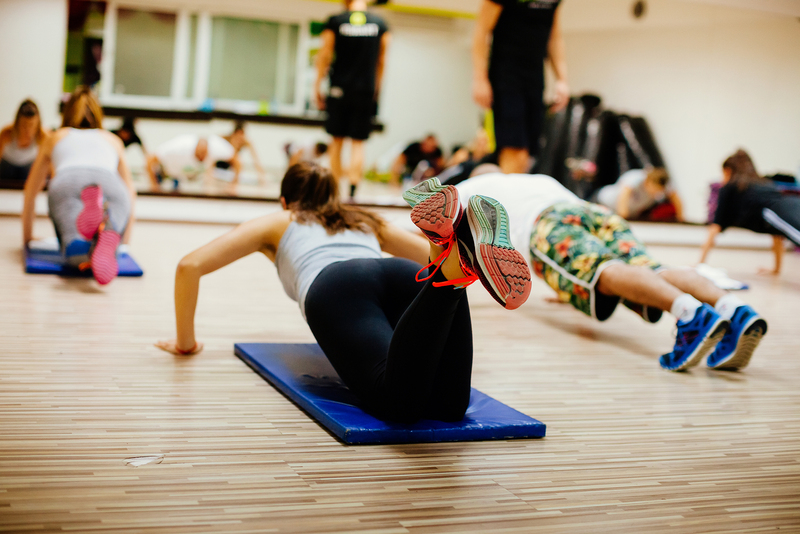 Or, you can opt for no equipment and incorporate things like mountain climbers, skaters, high knees, jumping jacks, burpees, and jump squats to spike your heart rate. Basically, you can completely tailor your workout to what works best for you and your fitness level. 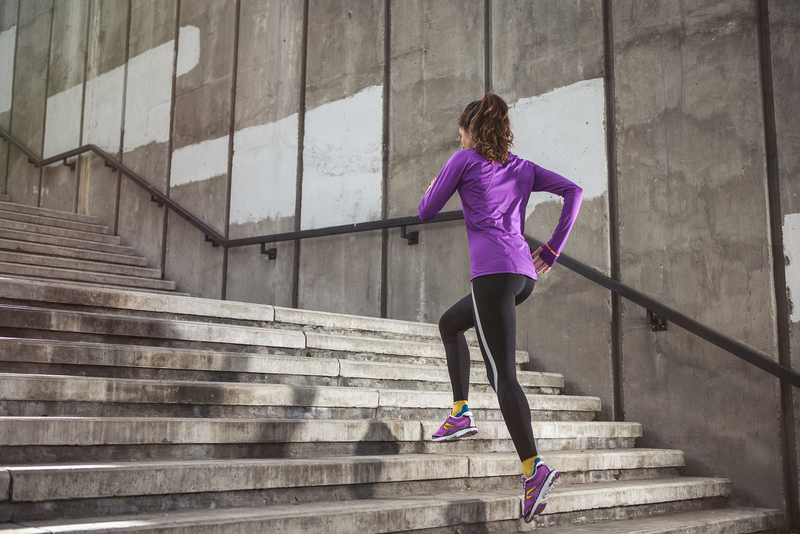 Ready to give HIIT a try? Check out some sample workouts below to get started. For this workout, I set my treadmill to a 10% incline at 7 mph, but you can choose an incline and speed that makes it challenging for you. This is very difficult and can be dangerous because the level of fatigue can increase your chances of tripping or falling. If you’re worried about injuring yourself, you can mimic this workout using an upright bike or elliptical machine. In addition to sprinting for 20 seconds and recovering for 10, you can also do 20 seconds on, 20 seconds off for 6 rounds (still 4 minutes). This is great to use as a “finisher” at the end of a tough leg workout when you’re really pressed for time. If you are new to HIIT and are not ready for either of the treadmill workouts mentioned above, try using short bursts of intensity followed by a slightly longer rest period. For example, jog for 30 seconds and then walk/rest/recover for 60-90 seconds. This is a great introduction to HIIT training by allowing for a 2:1 or 3:1 rest to work ratio. Another option is to row for 300 meters and then rest (or row at a slow pace) for 90 seconds between sets. As the weeks pass, aim to rest for shorter periods of time. For example, during week 2 rest for 90 seconds, week 3 rest for 75 seconds, and week 4 rest for 60 seconds between sets. HIIT is a fantastic workout for burning calories and promoting fat loss. It’s also extremely time-efficient, which is particularly helpful if you’re pressed for time (busy moms, work longs hours, etc.). HIIT allows you to get the same benefits of an hour-long cardio workout in significantly less time. Additionally, I really like the fact that HIIT is highly customizable. You can pick the exercises and equipment you want to use, choose your interval ratios and ultimately decide the length of your workout. Just remember to start slow and work your way up. 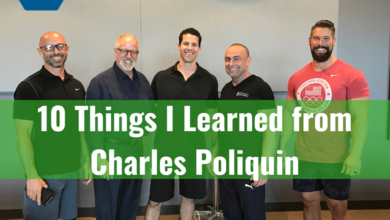 If you’re new to exercising, you don’t want to push yourself to the max for a full minute. That could end up causing more harm than good. Be smart and start small. Think 10-second max and 1-minute+ recovery. I also want to stress that while HIIT can help you lose weight and get in shape, it’s still vitally important to eat a nutritious diet of whole foods, get adequate sleep, and mitigate stress in order to reach optimal health and fitness.